Bay Beach House is perched on a sand dune with spectacular views of the sparkling, clear, blue waters of Peppermint Grove Beach. Walk down to the beach, which is literally on your doorstep, and you can enjoy the long wide stretch of white sand and safe swimming, snorkelling and fantastic fishing just perfect for families. It's not unusual to see a pod of dolphins frolicking in the water in front of you. The beach house has a wide wraparound veranda which is ideal for entertaining or watching the sun set over the Indian Ocean, concrete floors perfect (and sensible) for its beachside location, and is very comfortably furnished throughout with everything you need for your holiday. Seaside Homes donot accept bookings from Leavers or associated groups. AMENITIES: 1 x Bathroom, Beachfront Location, 3 x Bedrooms, Big Screen TV, Boat Parking, Combustion Fire, DVD Player, Fireplace, Gas BBQ, Iron and Board, Laundry, Microwave Oven, Pets Welcome (Prior Permission Required), Shower, Sound System, Clothes Washer. LOCATION: Situated between Bunbury and Busselton, just 2.5 hours drive South of Perth. You need to bring linen or we can arrange it for you. Doonas with covers, pillows provided. A refundable security deposit may be payable to the accommodation provider. If applicable, the accommodation provider will contact you to advise, inclusive of the deposit amount and its payment terms. Upon making your booking, you authorise the accommodation provider to contact you so they can arrange payment of any applicable security deposit. *Pet friendly, spectacular views, comfortably furnished* Bay Beach House is perched on a sand dune with spectacular views of the sparkling, clear, blue waters of Peppermint Grove Beach. Walk down to the beach, which is literally on your doorstep, and you can enjoy the long wide stretch of white sand and safe swimming, snorkelling and fantastic fishing just perfect for families. It's not unusual to see a pod of dolphins frolicking in the water in front of you. 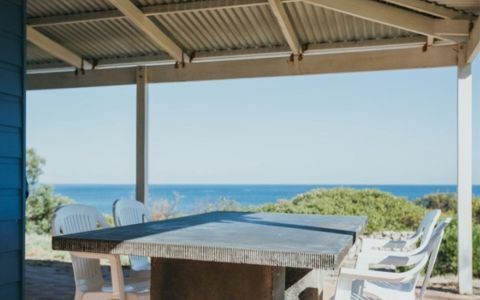 The beach house has a wide wraparound veranda which is ideal for entertaining or watching the sun set over the Indian Ocean, concrete floors perfect (and sensible) for its beachside location, and is very comfortably furnished throughout with everything you need for your holiday. 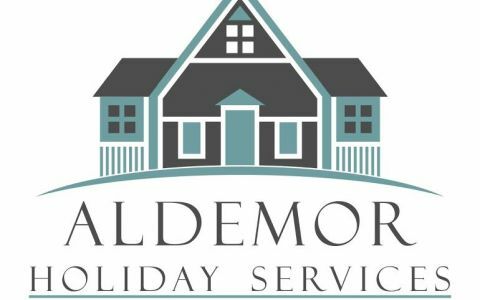 Seaside Homes donot accept bookings from Leavers or associated groups. AMENITIES: 1 x Bathroom, Beachfront Location, 3 x Bedrooms, Big Screen TV, Boat Parking, Combustion Fire, DVD Player, Fireplace, Gas BBQ, Iron and Board, Laundry, Microwave Oven, Pets Welcome (Prior Permission Required), Shower, Sound System, Clothes Washer. LOCATION: Situated between Bunbury and Busselton, just 2.5 hours drive South of Perth. ACTIVITIES: Calm beaches, fishing horse riding, farmers market, a quiet seaside hamlet ideal for a secluded getaway. 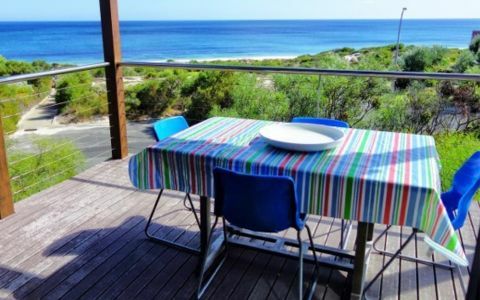 The beautiful beach is enclosed by Tuart Forest, wetlands and farming lands swimming, fishing, canoeing kayaking and surfing You need to bring linen or we can arrange it for you. Doonas with covers, pillows provided. **Sleeps 6 3 Bedrooms** Address: 11 Bay Crescent, Peppermint Grove Beach Bedrooms: Room 1: 1 Queen Bed Room 2: 1 Queen Bed Room 3: 1 Bunk Bed A refundable security deposit may be payable to the accommodation provider. If applicable, the accommodation provider will contact you to advise, inclusive of the deposit amount and its payment terms. Upon making your booking, you authorise the accommodation provider to contact you so they can arrange payment of any applicable security deposit. Please note: Each booking may attract additional fees which are not included in the above rates. Pricing displayed is purely indicative, and nightly pricing displayed is for stays of 7 days or more. For stays under 7 days, minimum stay loading and other conditions may affect the nightly rate. Please select dates and Continue Booking to obtain an accurate price. The beach house is in a great spot right on the beach. Good for the dogs too. The place was very nice. Stunning ocean views (we even saw dolphins!) and nice large living room and open kitchen with every device you need. Just an electronically heating device would have been great since the fireplace alone was not strong enough to heat the house during the colder nights. And the place could have been cleaner inside. We had a great stay at Bay Beach House recharging the batteries. The weather was average but Peppi is always great. Kids and dogs loved the walks on the beach. The house has everything you need to chill and keep warm with the wood fire.